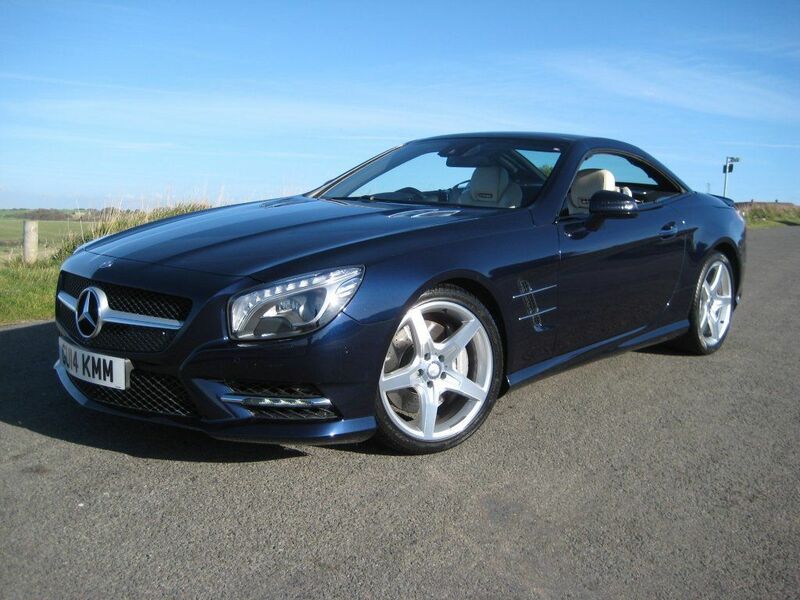 JUST 22,000 MILES WITH ONLY 1 P/OWNER FROM NEW. 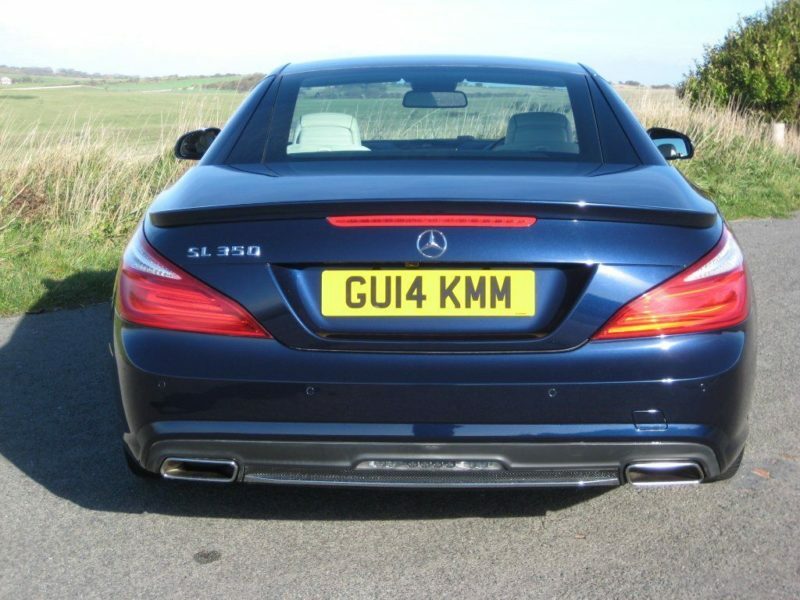 SL350 AMG SPORT finished in beautiful dark Cavansite Blue Metallic with full porcelain perforated leather and black ash interior trim. 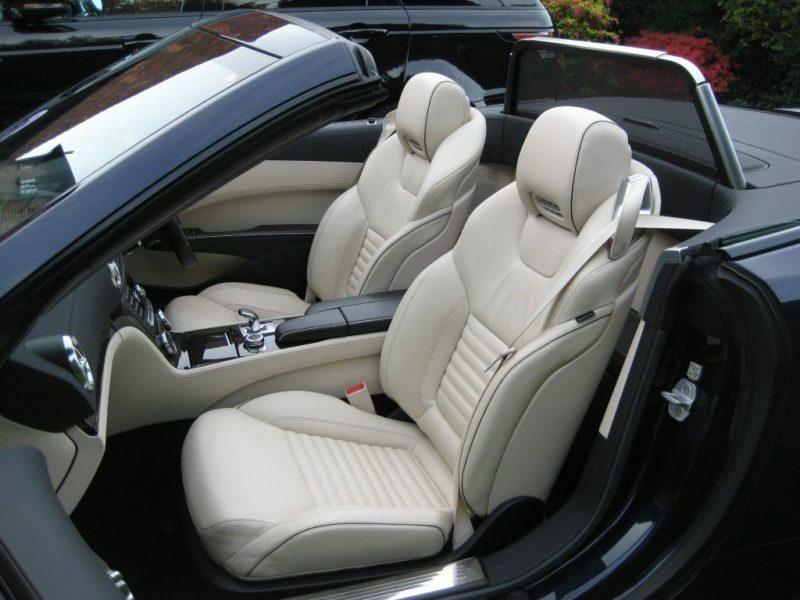 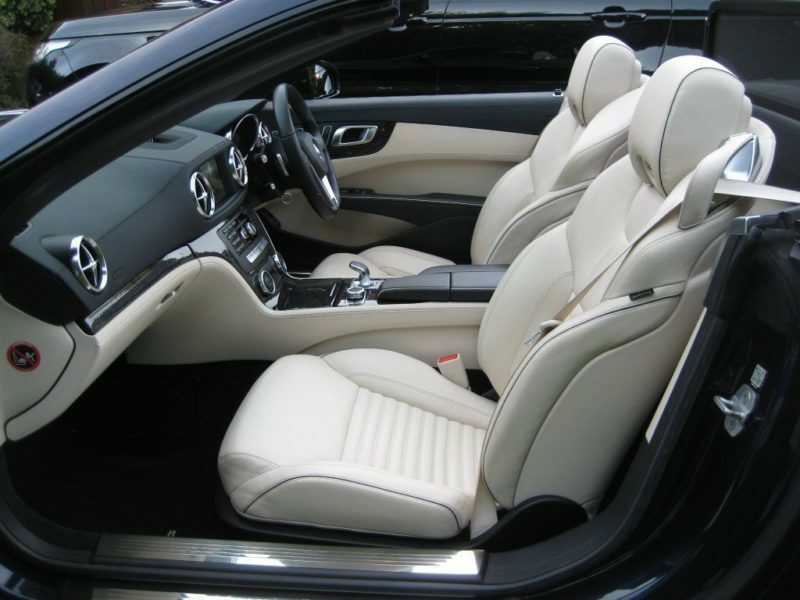 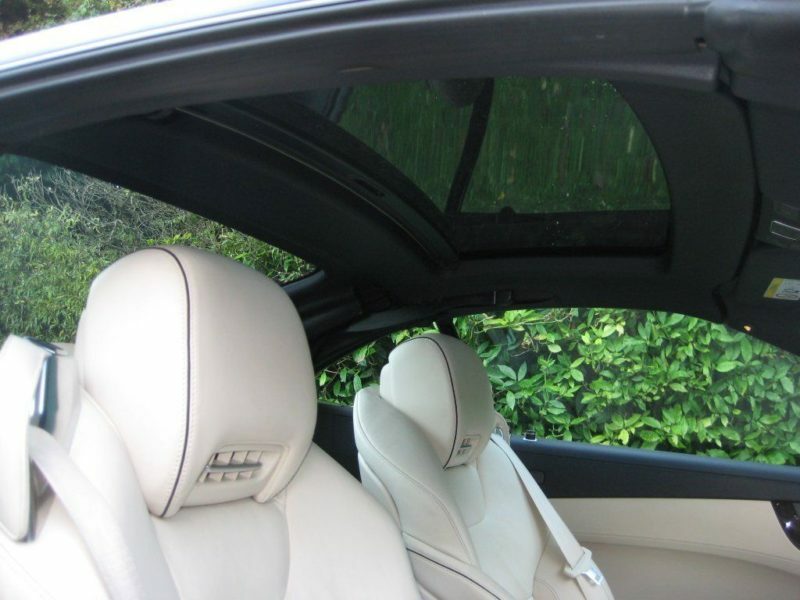 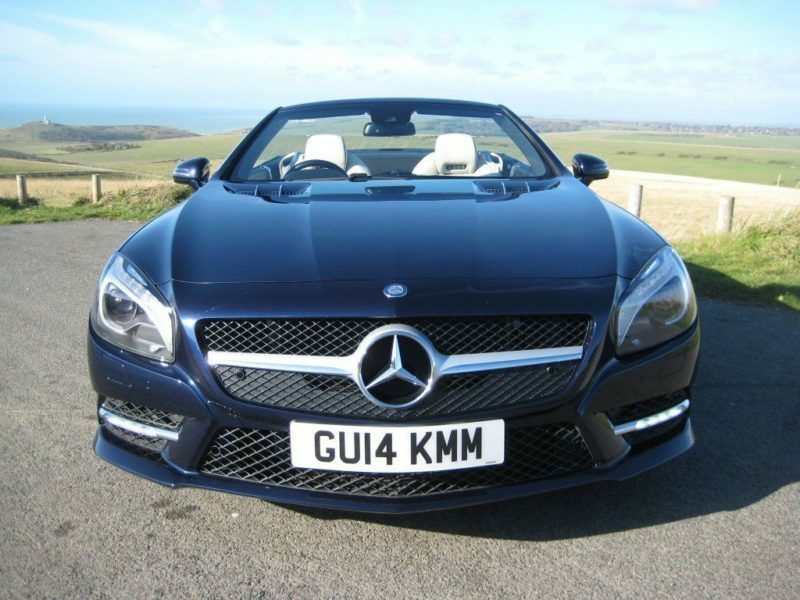 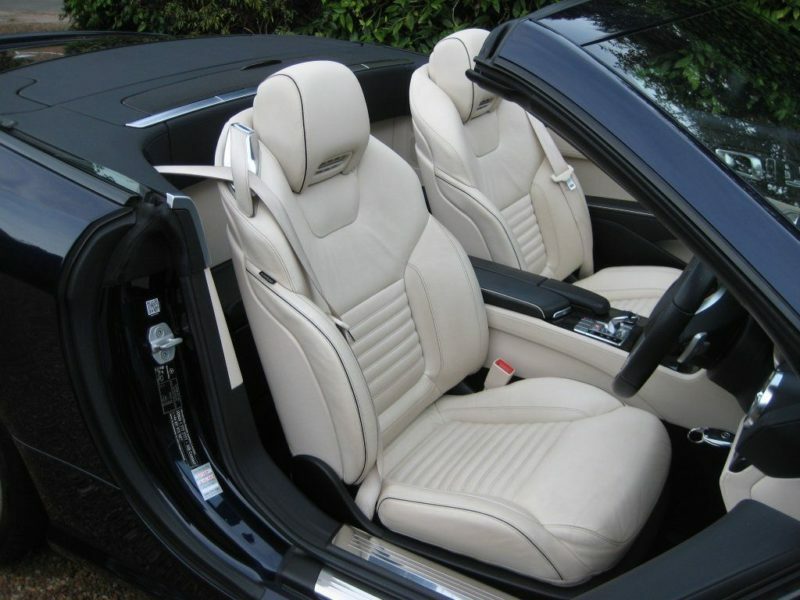 Specification includes AMG Sports package, panoramic glass roof with blind, COMAND satellite navigation system with integrated 6 disc CD HiFi, bluetooth interface, air scarf – neck level heating, Harman Kardon Logic 7 surround sound system with 11 high-performance speakers, DAB digital radio, AMG sports multi-function steering wheel, electric memory sports seats, heated seats, analogue clock, ambient lighting, dual climate control, cruise control, electric heated folding mirrors, reversing camera, parktronic with active park assist, electric wind deflector, remote boot closing, Xenon headlights, LED daytime running lights, totally unmarked 19″ AMG alloys, fitted MB carpet mats etc. 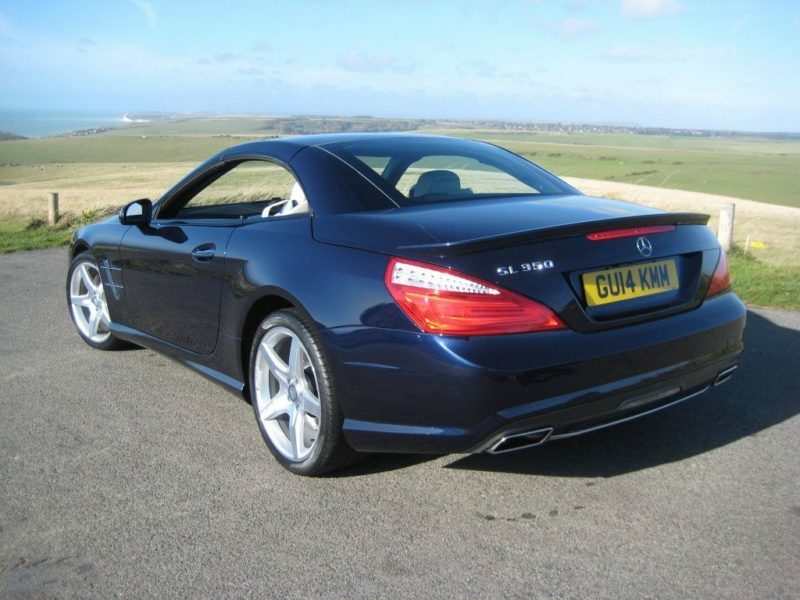 Cost new in excess of £80K with over £11k of optional extras. 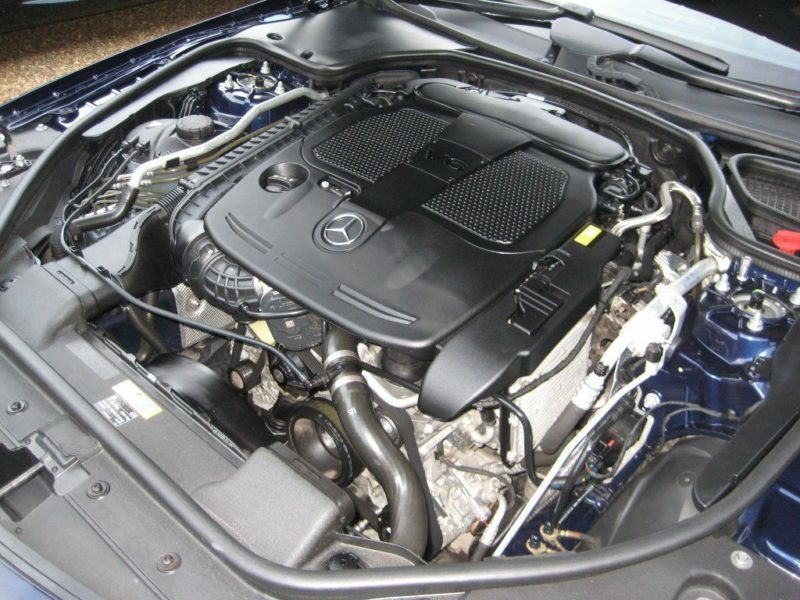 Supplied new & fully serviced annually by Lookers Mercedes Benz of Gatwick, Crawley West Sussex. 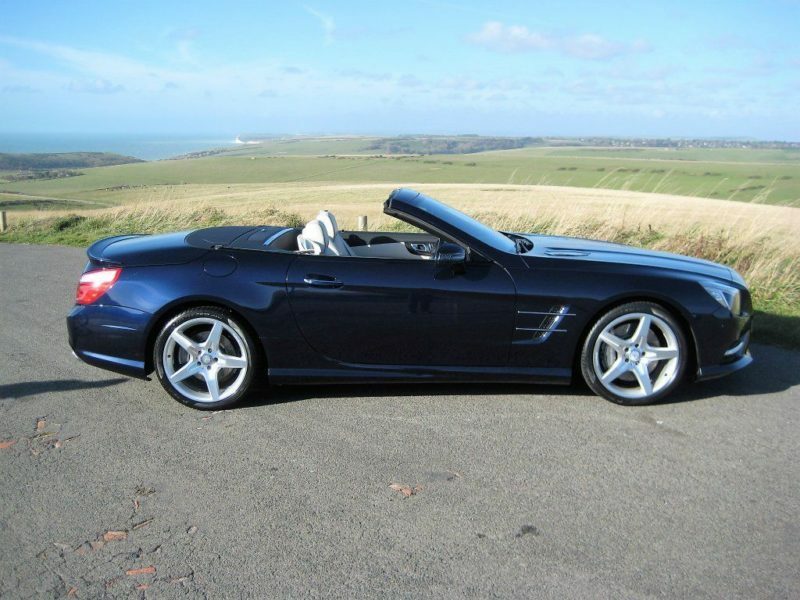 Complete with Mercedes Benz digital service report, owners book pack + both remote keys. 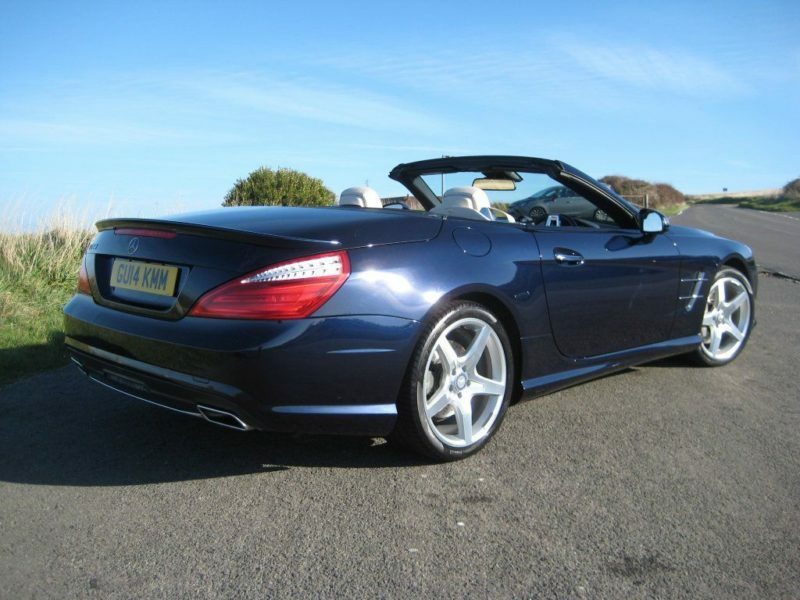 THIS IS AN ABSOLUTELY STUNNING LOOKING LOW MILEAGE EXAMPLE FINISHED IN A VERY RARE COLOUR COMBINATION & WITH A MASSIVE SPECIFICATION. 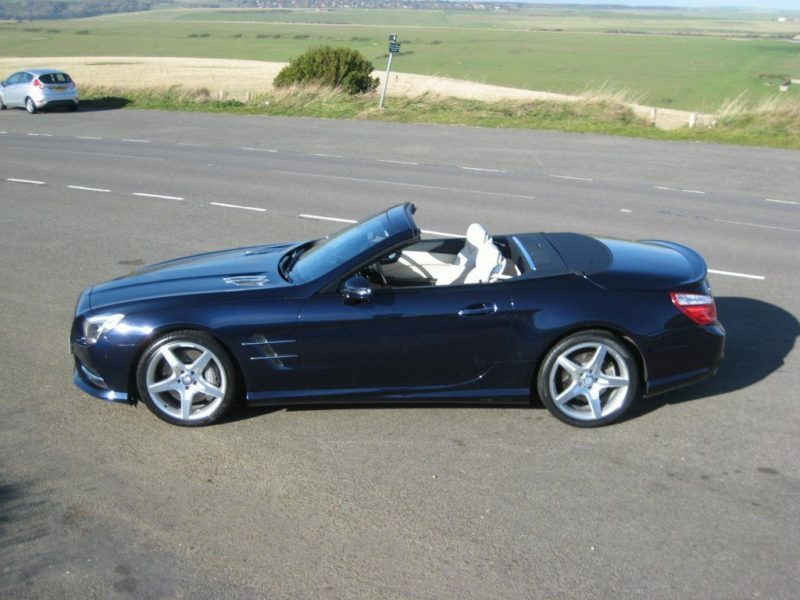 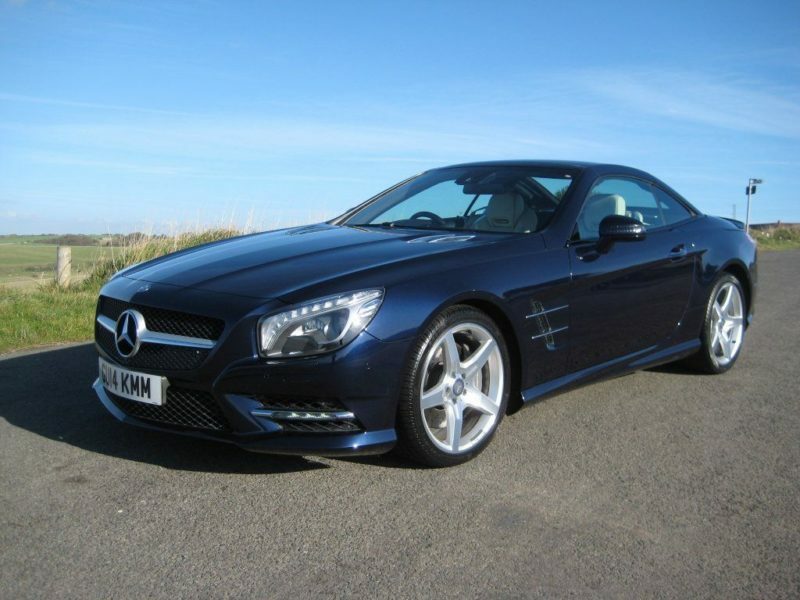 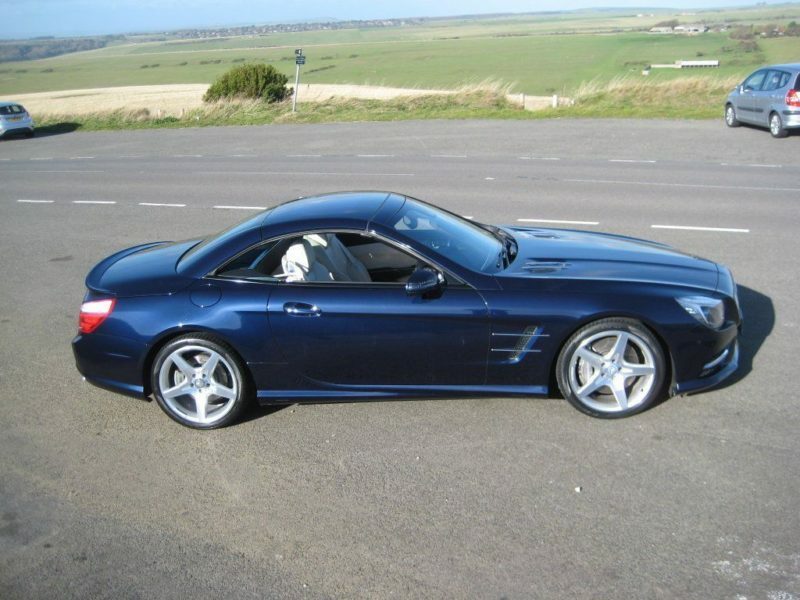 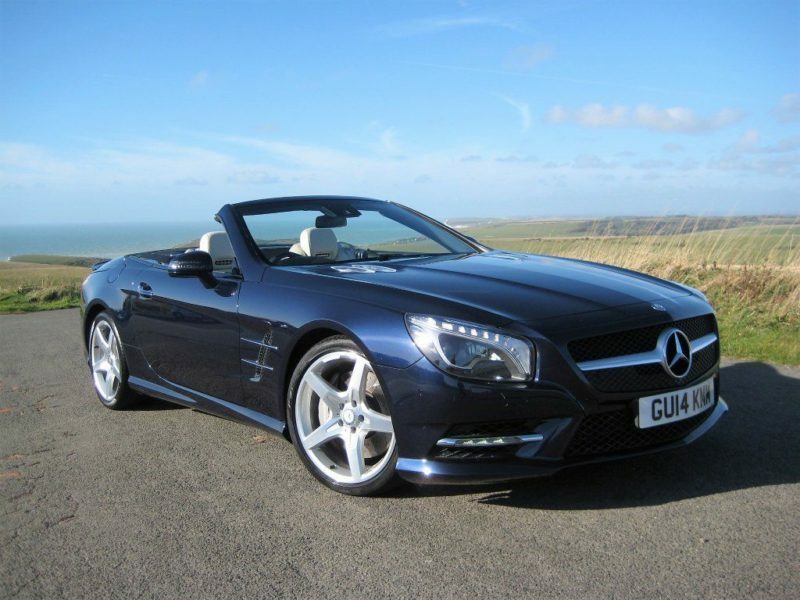 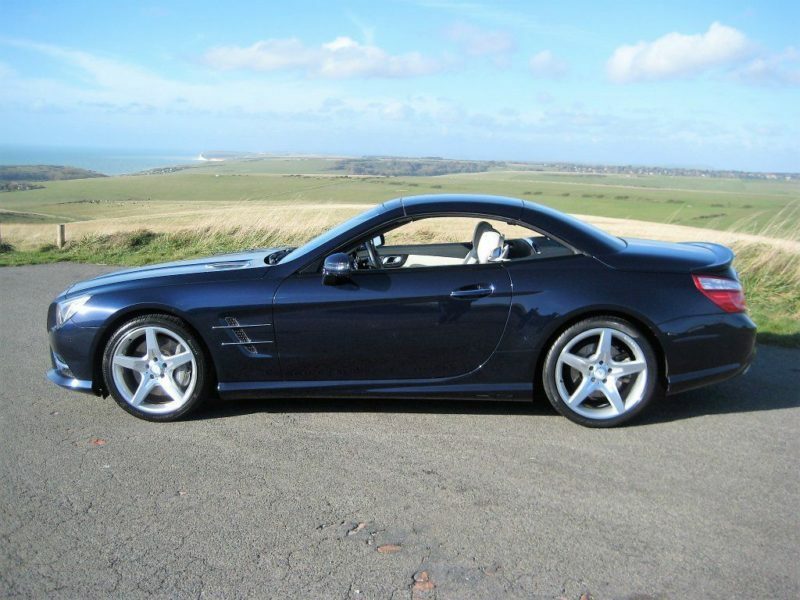 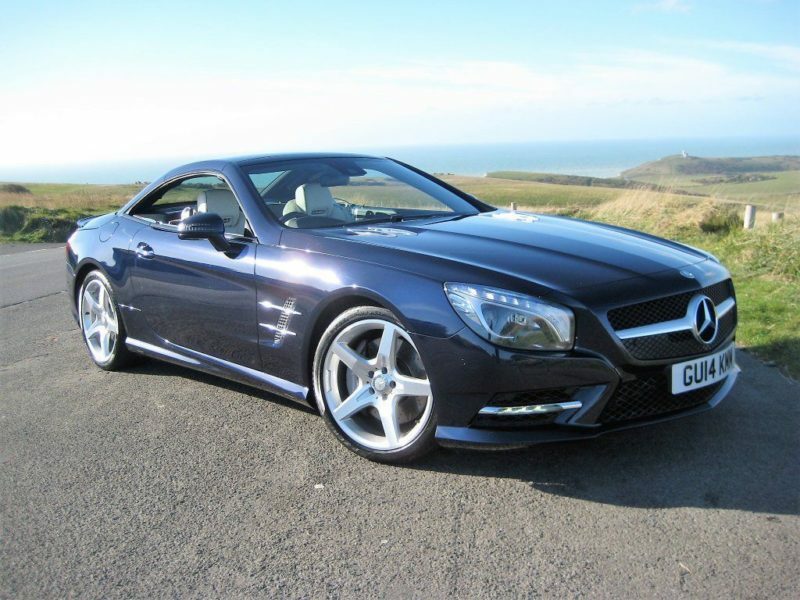 This is the only SL350 currently advertised in this colour.